Beautiful 2 story home in desirable NW neighborhood of Marseille! This home offers a downstairs master bedroom and the laundry room is conveniently located right off the master bathroom. There are 3 bedrooms and a bath upstairs. The home has a spacious great room for formal dining. The family room has a beautiful fireplace and sliding doors that lead to the well manicured yard and beautiful pool with rock waterfall! The kitchen is large and has a center island, pantry, and breakfast nook with views of the back yard. 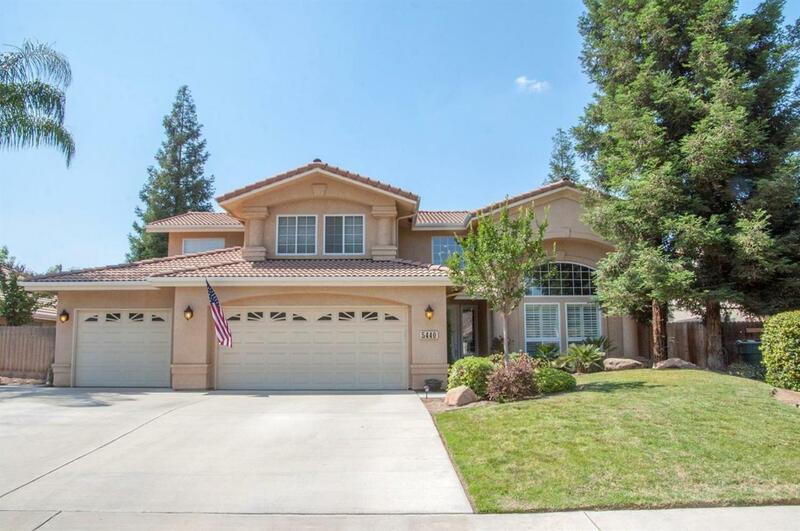 Listing provided courtesy of Kim Mcelhannon of Keller Williams Realty Tulare County.